How to Regrow Over-Plucked Eyebrows With These Awesome and Simple Steps! Experts say fixing your brows is all about the prep. Chances are, you've never had full-eyebrows, but you've probably over-plucked at least once. These tricks will get your brows back into shape. 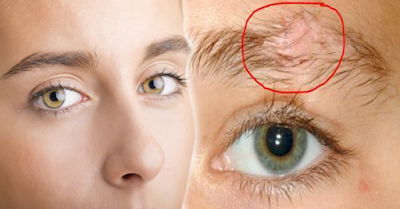 If you want to regrow your eyebrows, you must stay away from tweezers and wax. I you are persistent and you stop tweezing them for one year then you will be able to get better results. If you can’t resist yourself tweezing your brows, you can try to tweeze them in rows. You will need to leave the hairs closest to your brow to grow and pluck the others. Once they started to grow, you will move on to the next row until you are satisfied with their new look. If you want fuller and thicker brows, you can exfoliate the hair with soft toothbrush. You can also use serum with various products which can be seen in the market that are designed for eyebrows and eyelashes. You could also use a little bit of makeup. You don’t need expensive products or brushes, you cantry brow wax mixed with powder or brow pencil/gel.